Ebony and Ajit met in college and started dating their senior year. 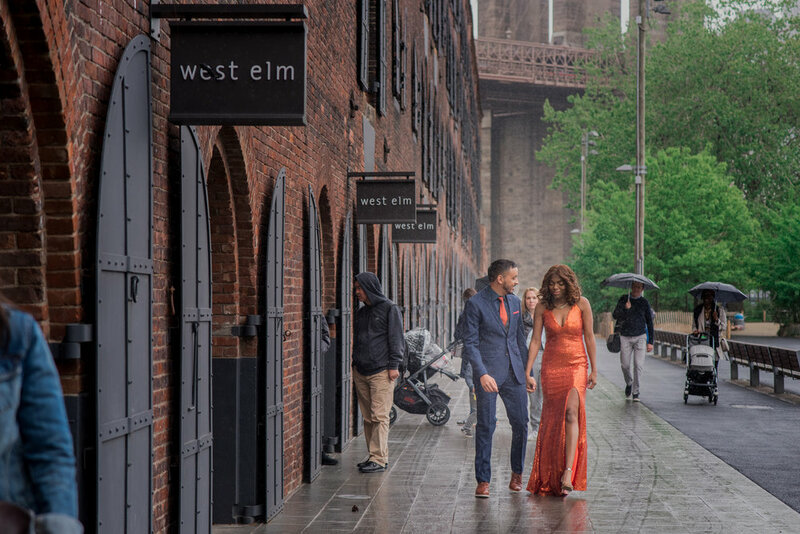 They fell in love and later Ajit surprised Ebony with a romantic rooftop proposal in the City. 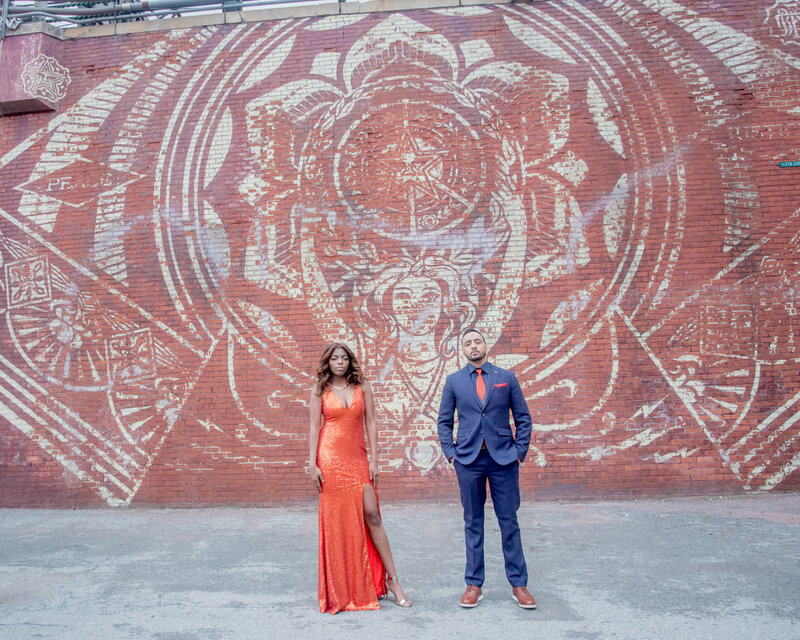 Their engagement session was vibrant colorful and playful. The rainy day made it extra romantic! Congratulations to this lovely couple, Ebony and Ajit.